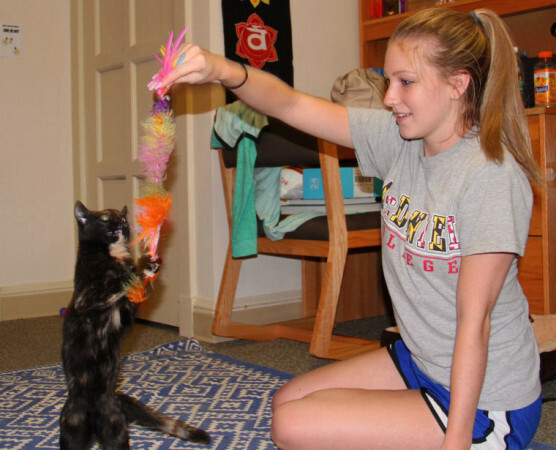 Therapy animals offer companionship, entertainment and fun for their owners. Therapy animals are becoming more and more prominent, especially with young adults who suffer with depression and various anxiety disorders. 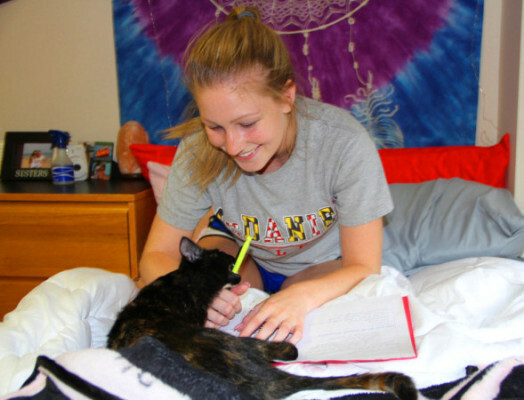 McDaniel student Sarah Kvech was encouraged to get a therapy animal to reduce anxiety and the stresses of college, which she struggles with. 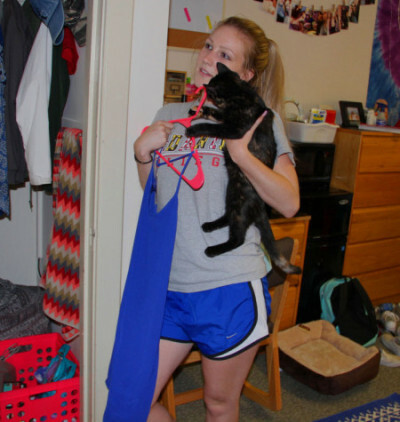 Kvech spent the summer caring for and training a cat. and now has brought it with her to school to continue to help her along her journey. 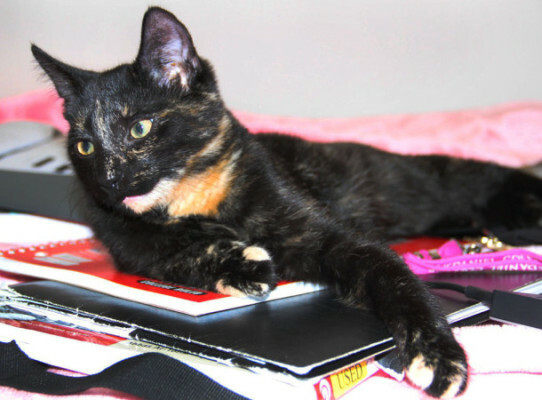 Although therapy animals are mostly dogs, many people choose cats because they work better with their individual personality. 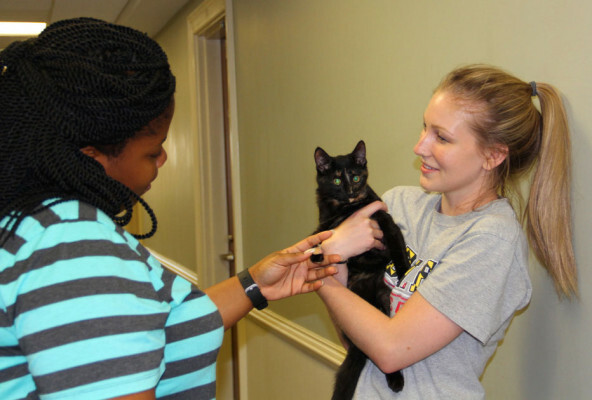 Therapy animals such as cats help with insomnia, calming the individual before bed. Therapy animals aid the development of nurturing and communication skills, as well as responsibility, in a less stressful and more fun way. They also help with self-esteem, offer companionship, and relieve stress and loneliness. They are in tune with their owners’ emotions and feelings, offering many types of relief when needed most and in general. 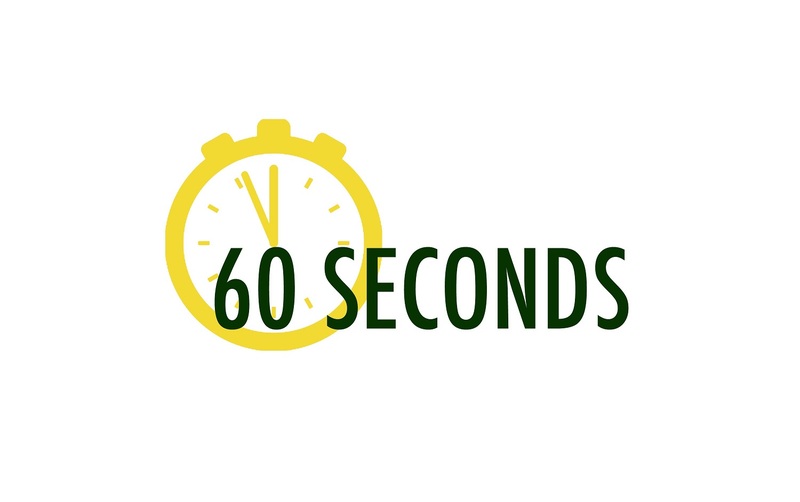 People who suffer with mental health disorders such as depression, anxiety, and many others, struggle when it comes to communicating with others in new settings and comfortably meeting new people. Therapy animals encourage confidence in new relationships. Owners also help boost their mood by petting, playing, and overall engaging with the animal. The presence of therapy animals alone can help an environment to be more friendly and less intimidating for a person. They can even help with physical health, for example, by encouraging exercise or an activity that both the owner and animal can do together, also lowering blood pressure by relieving stress. Once Sarah was encouraged to get a therapy animal she looked into the science behind it and shared not only what she found but her personal experience and what she’s learned with us. She let us document a day between her and the cat to see just how much it has helped her with her health and confidence. She is very happy with her choice to get a therapy animal. They can help with Insomnia by calming an individual before bed, and also offering comforting company. Their presence can lighten the mood of any situation, create a friendly environment, and help with conversation for anyone involved. Deja Smith, Sophomore. Sarah Kvech, Junior. They can help with physical health by encouraging exercise, an activity that both can do. These animals offer support, health, confidence, and loving, lasting friendship. 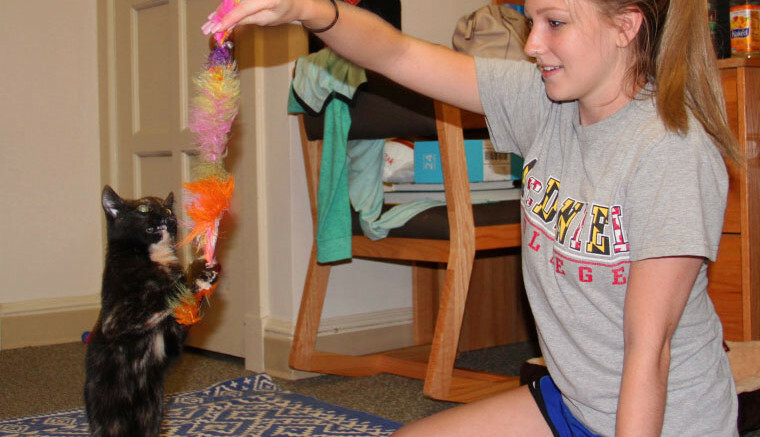 Therapy animals are becoming more common, especially among young adults who struggle with anxiety, depression, and other related conditions. Sarah Kvech not only shared what she found with out about having a therapy animal, but also her personal experience and what she has learned with us. People who suffer with mental health conditions such as anxiety may have trouble with meeting new people, and therapy animals help encourage confidence in new situations. Chris Carnivale, Junior.